A great gift for anyone with a May birthday! 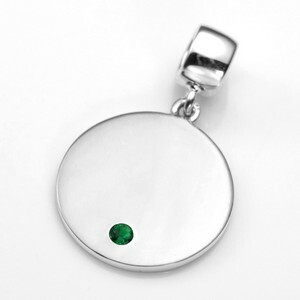 The crystal is visible on both sides of the sterling silver charm and is emerald colored. Create your own personalized bracelet or necklace with this sterling silver charm. Add this and other beads and charms to our sterling silver bangle and snake chain bracelets, or personalize a necklace by combining this with a sterling silver chain. 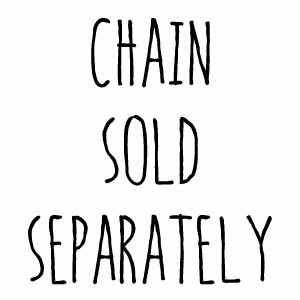 See the next page for bracelets and necklaces to fit this product, which are available for purchase separately. Fits Pandora Style bracelets.